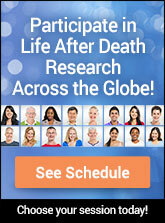 Critical questions about life after death, NDEs, dreams, past lives, and much more. This search is different from the Beginner Search in that it assumes you want to know more specific details about a particular afterlife subject. Just click a question below to see suggested readings that may give you the answers you seek.